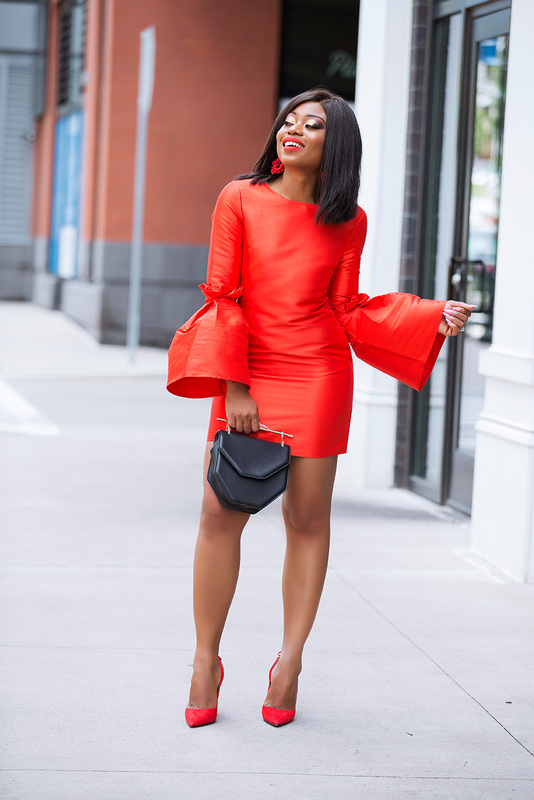 The red dress on today’s post is great for a date look. The structured oversized flare sleeves and back detail caught my attention. 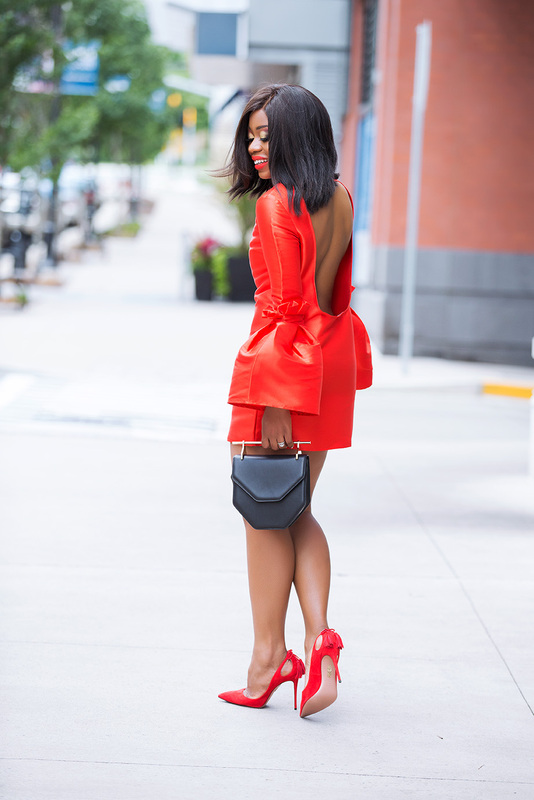 I always love unique twists on dresses and as my previous posts show, I love pieces that are classy with unique details including this asymmetrical dvc dress that I wore here and this back bow dress .